Credit scores could soon be used as one factor in determining Ontario auto rates, and the province plans to double coverage for catastrophic impairment, Finance Minister Vic Fedeli suggested in the budget document tabled Thursday. “Drivers should have the choice to lower their premiums by allowing insurers to consider their credit history, or by agreeing to use preferred providers of auto repair or health care services,” the government said in its budget document. Ontario automobile insurance companies are currently prohibited from using credit information in their risk classification system. Canadian Underwriter asked the provincial finance ministry Friday to confirm insurers will now be allowed to use credit scoring as a rating factor in auto insurance. Fedeli was not available for comment Friday. Also in the budget, the government is promising a “Driver Care Plan,” which would include a return to the $2-million limit for accident benefits for those who are catastrophically impaired. Until 2016, there were two separate $1 million limits for catastrophic impairment. One was for medical and rehab expenses and the other was for attendant care. That limit was cut to one single $1-million limit for attendant care, medical and rehab. At the time of writing, it is not clear whether the current government plans to have one single $2-million limit or return to the previous system with two separate $1-million limits. In the 2019-20 budget, the province said Thursday it is proposing reforms to increase the range of auto insurance coverage choices, which would let clients reduce their premiums. It was unclear as of Friday whether this means clients will be able to choose accident benefits coverage below the current mandated minimum. 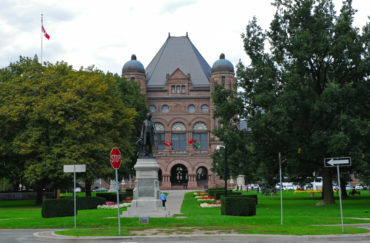 Until 2010, Ontario vehicle owners had to buy accident benefits with at least $100,000 in medical and rehabilitation benefits and $72,000 for attendant care. Those mandatory minimums were cut by 50% in 2010. Auto insurance law was changed in 2016 to mandate a single $65,000 limit – for medical, rehabilitation and attendant care expenses for non-catastrophic injuries. The Driver Care Plan announced Thursday will include a driver care card, which the province says will streamline access to care by providing important information that will make the claim easier to navigate. In an online survey conducted Jan. 8 through Feb. 15 by the Ministry of Finance, 55% of respondents said it was too difficult to tailor their auto insurance to meet their needs, the province said Thursday in the budget document. More than half (54%) of respondents said insurance policies are complicated and difficult to understand. A report released in 2017 recommended a banning of cash settlements in the accident benefits portion of the Ontario auto insurance system for those benefits specified in the legislation as being for medical and rehabilitation care. That report was penned by David Marshall, a former CEO of the Workplace Safety Insurance Board, who was appointed in 2015 as special advisor to then-Liberal Finance Minister Charles Sousa. This would “ensure insurance resources are used to pay for the treatment accident victims need to recover from their injuries,” the Insurance Bureau of Canada said Friday in a release. I would prefer and suggest that the government should take over the auto insurance and provide the consumer with the choices suggested by the Ontario Government NOT opposing insurance companies rate increases to compensate for insurers losses. As the government’s in Quebec ,Alberta and Saskatchewan failed to provide such higher Bodily injury limits ,Why would Ontario be still able to do so? Insteadoif creating this caious in there rauro insurance industry ,the government of Ontario should introduce more punitative measurements on fraud and allow premium increase to compensate insurers losses and allow more competition among insurers to lower premiums.